AFC Elite Futsal Coaching Instructors seminar begins journey with Module 1! Elite Asian referees benefit from highly-productive VAR Course! AIFF joins hands with AFC to refurbish Coaching Education System! Mizoram, Himachal Pradesh & Kerala win big at Day 2 of Junior Girls Championship! VIDEO – 442oons: The Bundesliga Boy Band – Sancho, Havertz, Jovic & Co (Parody)! XtraTime VIDEO: Durand Cup to come under AIFF calendar from next season! 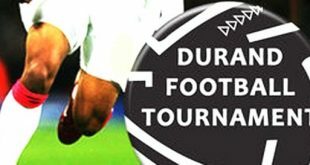 XtraTime in an exclusive interview with AIFF general secretary Kushal Das found out that India’s oldest tournament in the Durand Cup from next season onwards would come under the AIFF calendar as a pre-season tournament in August/September. VIDEO – Durand Cup: DSK Shivajians FC 0-3 NEROCA FC – Goals! 2016-09-13	I-League Comments Off on VIDEO – Durand Cup: DSK Shivajians FC 0-3 NEROCA FC – Goals! Army Green defeat NEROCA FC on penalties to lift 128th Durand Cup trophy! 2016-09-11	Second Division League Comments Off on Army Green defeat NEROCA FC on penalties to lift 128th Durand Cup trophy! VIDEO – Durand Cup: NEROCA FC 0-0,5-6 Army Green – Penalty Shootout! 2016-09-11	Second Division League Comments Off on VIDEO – Durand Cup: NEROCA FC 0-0,5-6 Army Green – Penalty Shootout! 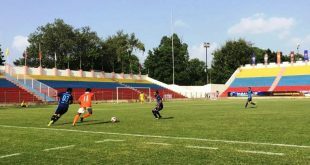 NEROCA end DSK Shivajians FC’s Durand Cup campaign, win 3-0 & reach finals! 2016-09-09	I-League Comments Off on NEROCA end DSK Shivajians FC’s Durand Cup campaign, win 3-0 & reach finals! VIDEO – Durand Cup: DSK Shivajians FC 2-1 Army Green – Goals! 2016-09-09	I-League Comments Off on VIDEO – Durand Cup: DSK Shivajians FC 2-1 Army Green – Goals! 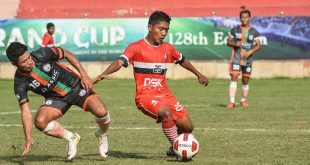 DSK Shivajians FC achieved the mission they set out with by registering a 2-1 win over Army Green and book a historic semifinal berth in the 128th Durand Cup at the Harbaksh Stadium on Monday. Here come the goals of the match! Durand Cup: DSK Shivajians FC face-off against NEROCA FC for a place in final! 2016-09-08	I-League Comments Off on Durand Cup: DSK Shivajians FC face-off against NEROCA FC for a place in final! VIDEO – Durand Cup: DSK Shivajians FC 1-2 Minerva Academy FC – Goals! 2016-09-07	I-League Comments Off on VIDEO – Durand Cup: DSK Shivajians FC 1-2 Minerva Academy FC – Goals! 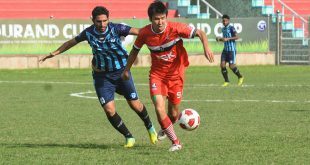 DSK Shivajians FC once again fell prey to a last-minute goal and went down 1-2 to Minerva Academy FC in the 128th Durand Cup at the Ambedkar Stadium, New Delhi on Sunday, September 4. Here come the goals of the match! Durand Cup: Sporting Clube de Goa demolish Minerva Academy FC 5-0! 2016-09-06	I-League Comments Off on Durand Cup: Sporting Clube de Goa demolish Minerva Academy FC 5-0! 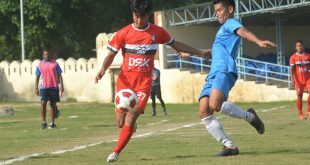 DSK Shivajians FC enter historic Durand Cup semifinals, down Army Green to top group! 2016-09-05	I-League Comments Off on DSK Shivajians FC enter historic Durand Cup semifinals, down Army Green to top group!